And, we’re off! 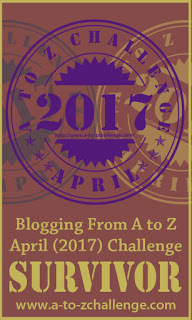 Welcome to my first post for the 2017 A to Z Challenge! Abacab was the eleventh studio album for the band Genesis. It was released in September 1981, and reached #1 on the UK Albums chart and #7 on the Billboard 200, and was certifierd double platinum (two million units sold) by the RIAA. Mike Rutherford, guitarist for the band, explained that the title came from the way the three parts of the title track (called A, B, and C) were laid out at one point, abacab. When all was said and done, the actual layout of the song’s parts looked more like accaabbaac. The song reached #26 on the Billboard Hot 100 in the US and #9 in the UK. The second single from the album was “No Reply At All.” It went all the way to #2 on the US Mainstream Rock chart, #7 in Canada, #29 on the Hot 100, and #28 on the Cash Box Top 100. It featured the Earth, Wind, and Fire horns in addition to the band. Join me again on Monday and Monday through Saturday each week this month (as well as Sunday, April 30) as we continue through the alphabet! There are some songs that you can just hear when their names are mentioned. Even if you haven’t heard them in years. Thanks for stopping by! One of my favorite all time groups and two of my favorite songs. Rocking out now! I wondered how you were going to implement your theme – excellent choice! I had to be a little sneaky with some of the letters. There are at least two acronyms that are part of the fun. I love your theme! Listening to the music right now. I saw Genesis in concert once. It was amazing. I think they were actually better live than recorded. At least that’s what people tell me. Visiting the moderators pages from the A-Z page. Boy the band Genesis and the songs for today was a deja vue moment for me! Can’t remember the last time I heard those songs! We just started watching Miami Vice; it’s on at 11 Eastern on Cozi TV (which we get over the air). After watching a few days, we wondered why we hadn’t watched it before. Whoa! Strong start right out of the gate! I have never heard of these guys (but then I basically started living backwards when it came to music in 1972). I LIKED it! A lot. I’m really going to enjoy your theme. Well done!!! Thanks! Not all of these will be music posts. In fact, that might be the only one. But I do plenty of music other times. It took me a while to appreciate Genesis. Their music first caught my attention with this album I guess. Later I went back to their earlier albums and realized what great music I’d been missing. They’re now one of my favorite groups. I had a friend who liked them in the Peter Gabriel days. I really didn’t like them then, but when he left the music seemed more accessible. Played “Turn It On Again” many times onstage, from the previous 1980 album Duke. Initially, I was the only guy who could count and cue the time signature changes, and re-entry from what the bass player always called the Indian part.. I was never a huge Genisis fan, maybe because I was going through a separation and divorce in the early 1980s when they were most commercially popular. Music reminds us of both happy and sad times. Dad died in ’67 and the music from that year is engraved in my heart, I think. Oops, that should have been Genesis. I hadn’t heard that (maybe I should find a better way to put that…) Someone else mentioned Genesis is getting ready to tour this year, so I assume he’ll be with them. Thanks! It fit my theme quite nicely. Glad you enjoyed it! That was a particularly good album, as I recall. Love them and hoping that they come around our area during their newly planned tour. My husband thinks Peter Gabriel needs to be with them too but I’ll settle for Phil and the rest. Great start to the AtoZ. Everything seems to be working well. I’ve spent the last two hours on visiting and commenting! I know I can’t keep that up on the weekdays but it has been fun looking at everyone’s beginnings. And, my IFTTT worked! Mine has been working, too, both on my blog and the A to Z Challenge blog, which I’m now simulcasting. Wish there was a way to stop an in-line style sheet from passing through, though; WordPress doesn’t like them. Thanks for stopping by! Always interesting to find what memories pop up when certain songs are mentioned. Looking forward to lots of memories from your AtoZ posts, John. Thanks for visiting my site today and for co-hosting #AtoZChallenge 2017. Thanks, Gail! I’ll be watching a lot of blogs over the next month, and yours is on the list! Phil Collins, yay!!! Wonder what’s up with him now….Thanks for sharing Genesis to us! I think he’s still with Genesis and doing his solo work, though I’m not sure in what proportions. Thanks for stopping by! What fun! I’d never heard these songs, though I have heard some of Genesis’ songs before. That’s interesting, because they were the two singles off the album, but on the other hand, I didn’t hear them much, either. 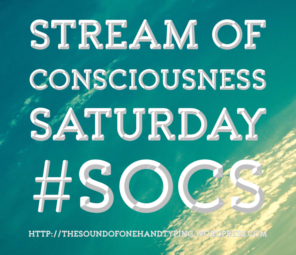 Music and info! Definitely a fun way to meet the challenge. Thanks, John! Color me impressed! Abacab. The song is playing in my head now — NOOOOOOOO! But seriously, how many possibilities are even out there for a word to start in A and end in B AND ALSO be the title of a song?! Well done. I remember Abacab. In 1980 I was too young to listen to music, but this song was still plaid when I become old enough. The album right before they became one of the huge acts of the 1980s. And then Peter Gabriel had a big hit with So. It was hard to believe by the mid-80s that they’d all been in the same band by how different they sounded. Off to a great start John! I didn’t like many songs by Genesis. One that I did like was, That’s All. I do like all Phil Collins solo music. Great start to the A to Z and love how you tied it into the BOTB. I have to go with Abacab because I think it is in more detail or more difficult…I probably am wrong but that’s my pick. Actually, I haven’t posted my BOTB yet, but you gave methe idea for the one I’ll post later today. Stay Tuned! Phil Collins will be touring the UK this summer kicking off in June in Liverpool. He’s 66 years old now, but looks older than Mick Jagger to me! Fittingly, the tour is called ‘Not Dead Yet’! So many great music themes this year! I’m only a casual fan of Genesis and hadn’t heard Abacab before. No Way at All certainly brings back memories. Looking forward to your next post. Cheers! Awesome post! Loved the songs! Thanks for stopping by my blog! They really are better live than recorded – I saw them live in the 70s. Yes, i really am that old. Hi, John! I will probably recognize the song if I heard it, but just by the name I don’t recognize it. That’s pretty normal for me and music. I rarely know the song names. Music is a wonderful way to start the challenge. That album title looks just like a truncated rhyme scheme for some form poetry, actually.